Last fall I released a Fall Style Guide and had so much fun putting it together. 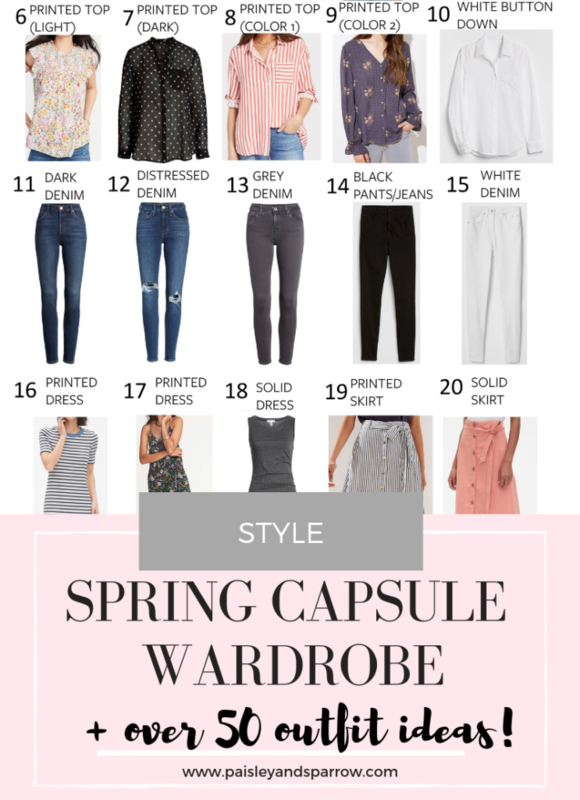 I heard from so many of you how helpful it was, so I’m back with a spring capsule wardrobe and spring style guide! Although this is a capsule wardrobe, I should note that I don’t only wear these clothes all spring (especially now that I’m pregnant!). However, I think it’s smart to have staples in your wardrobe, especially as the seasons change. Do I think you need to own every single thing in the list? Definitely no! If you absolutely hate skirts, don’t get one! If white jeans make you cringe, by all means, take a pass on that. I will say, however, that trying new things is good for everyone! During the fall challenge I bought a white button down and actually LOVED it! This round, I picked up a trench coat and am excited to see if I love it as much as I think I will. 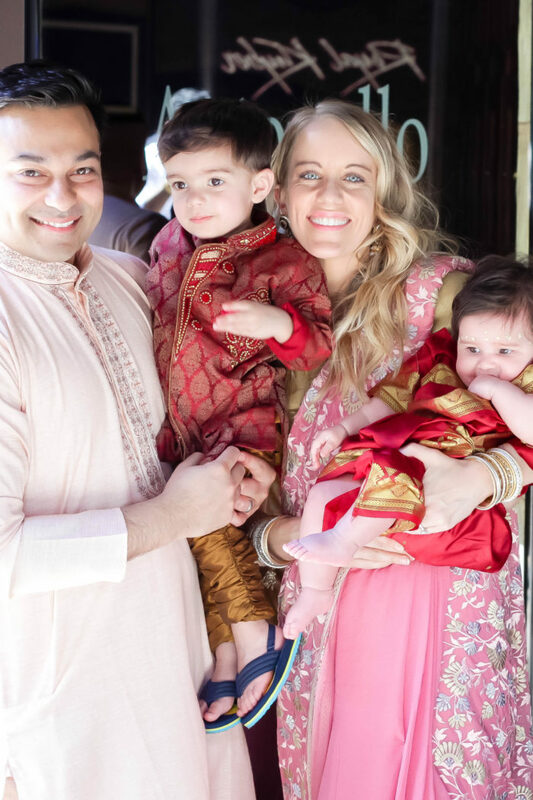 I broke everything up in 3 categories – the foundation, the layering piece and of course, the accessories! 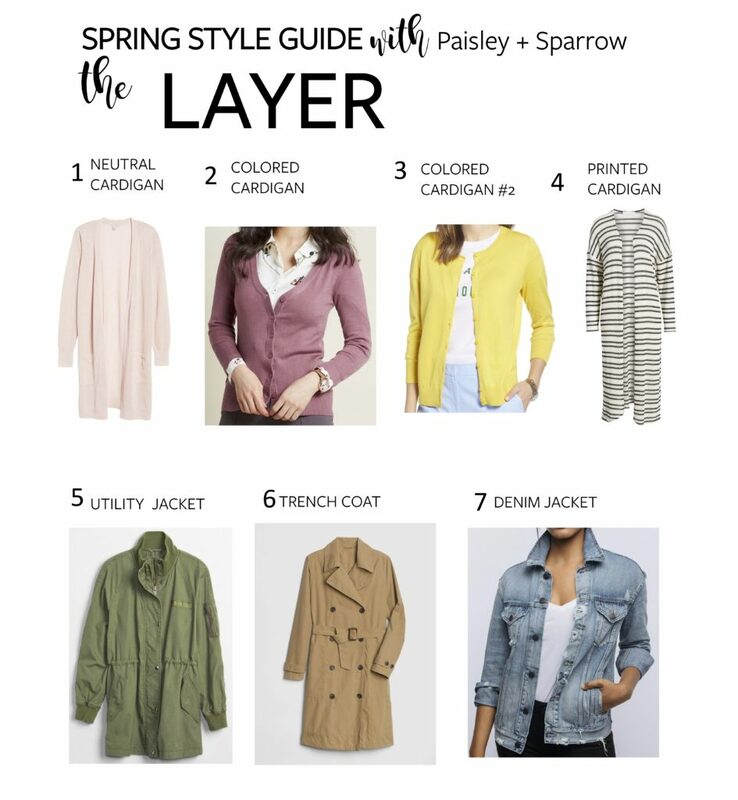 Spring is a little different than fall where you may not need the layering item. Seeing as though I’m in MN and some mornings are still in the 20s, I will likely need the layering piece but feel free to leave that off if it’s warm where you are. 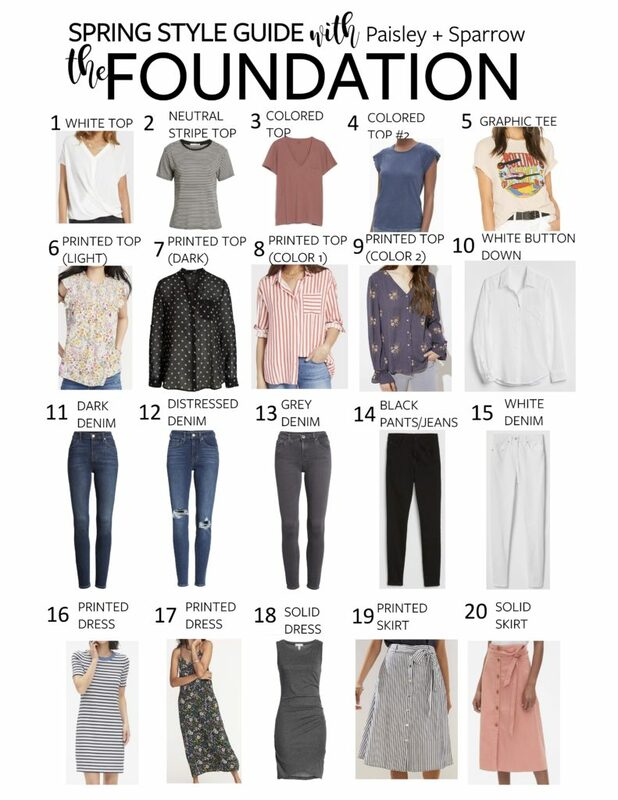 You can use the clothes below to create your own outfits, or download the Spring Style Guide with ALL the outfits I’ve created just for you! My hope is that you’ll find plenty of outfit ideas in my guide to help you transition your wardrobe to spring! Eventually, I’d love for you to not even need the guide and create your own outfits! I’ve linked the majority of the exact items below. I would so appreciate it if you use my links (I earn a small commission when you do) because this helps me be able to create these guides (and everything else you see on this blog!). 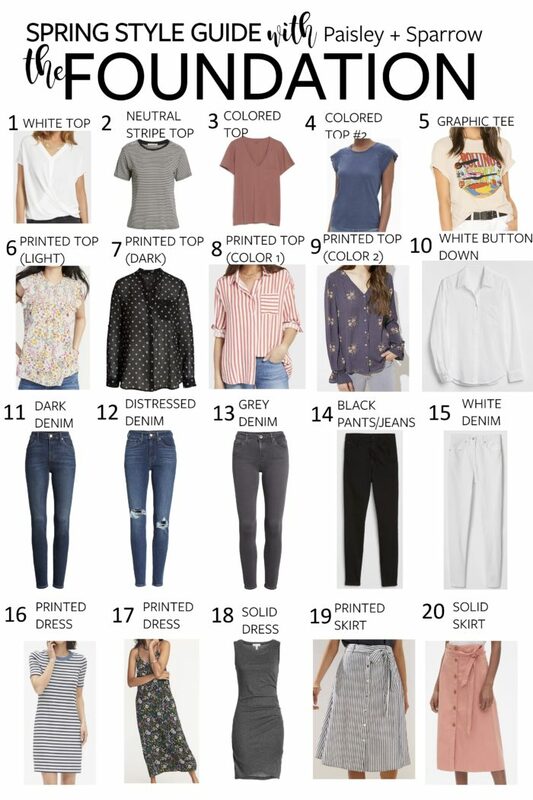 So without further ado, here’s your Spring Capsule Wardrobe! 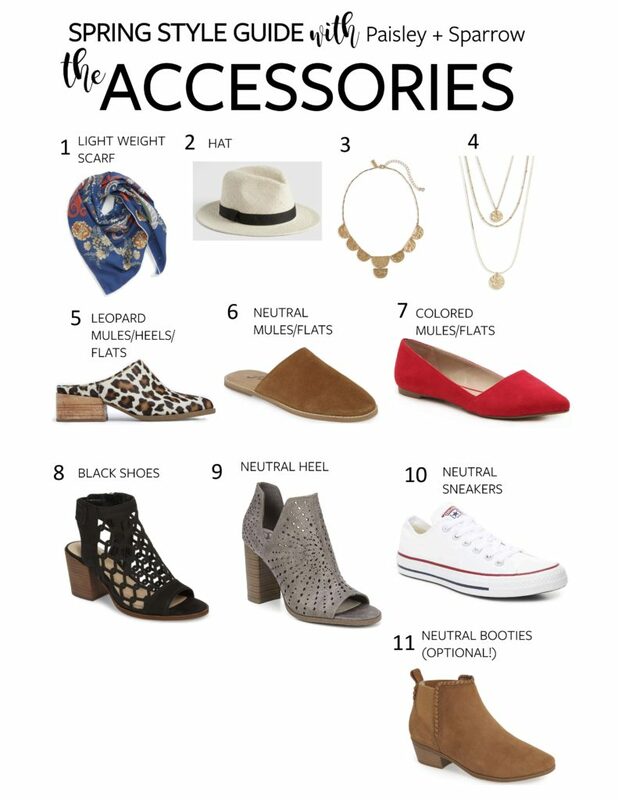 If you want to take this one step further, download my spring style guide! I have over 50 outfits put together using the items above. There’s even dedicated sections for work appropriate outfits AND stay at home mom outfits! Just click here to download your guide! Then be sure to check out my fishtail braid tutorial for a fun new hairstyle to wear with your spring outfits or get more tips on styling a denim jacket!